"The Times They Are a-Changin'" is a song written by Bob Dylan and released as the title track of his 1964 album of the same name. Dylan wrote the song as a deliberate attempt to create an anthem of change for the time, influenced by Irish and Scottish ballads. He wound up only doing the one song, but it absolutely stole the show. Backed only by a pianist and a stand-up bass player, Dylan delivered a jaw-dropping acoustic rendition of his 1963 civil rights anthem and then walked to the front row to shake President Obama’s hand. "Crucifixion" usually is interpreted as an allegory likening the life and assassination of U.S. President John F. Kennedy to the career of Jesus, although the song may refer to other heroes as well. In 1973, Ochs explained "Crucifixion" to Studs Terkel. In the distant past, Ochs said, the people would sacrifice a healthy young man to the gods; today, things were the same. Colonel Tom Parker (Presley’s manager), had found it increasingly difficult to secure the usual $1,000,000 fee for a Presley film, and had no alternative than to take a different approach. Parker negotiated a deal with NBC for $1,250,000 to finance both a television special and a film (1969’s Change of Habit). “Singer Presents…Elvis” was recorded at NBC studios in Burbank CA in the last days of June 1968. Colonel wanted the show, which was scheduled as a Christmas season broadcast, to be little more than Presley singing Christmas carols. He believed the special could simply be a TV-version of the Christmas radio show Presley had contributed to the year before. [Steve] Binder (producer) argued that the special was an opportunity to re-establish the singer’s reputation after years of formulaic movies and recordings of variable quality. Steve Binder, who produced Presley’s 1968 television comeback special, has often recalled the origin of Presley’s hit “If I Can Dream.” Presley and Binder were looking for a way to end the show. 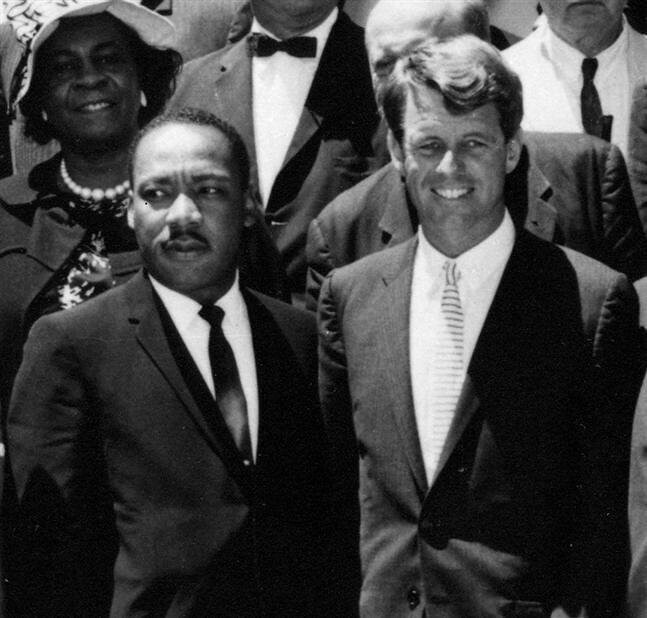 The two had discussed Elvis’ dismay over the assassinations of Martin Luther King Jr. and Bobby Kennedy. Binder was struck by the conversation, and instructed music director Billy Goldenberg and lyricist Walter Earl Brown to write a song incorporating Presley’s concerns to use as the finale to the show. Binder sent it to Parker, who still thought the show closer was “I’ll Be Home for Christmas”. Binder then bypassed him, and played the song for Presley. It took some doing, but finally convinced Elvis to record the song and allowed him to run rough shod over some of the song’s hokier lyrics when he delivered it. But once the Colonel realized Elvis’ determination to record the song he demanded 100 percent of the royalties – Goldenberg backed off the writing credit and told Parker, Brown had written it. ©1968 Kobalt Music Publishing Ltd. So here is this song written and recorded just weeks after Bobby is killed, backed by the Wrecking Crew (Tedesco/Deasy/Knectal/Randi/Blaine) with The Blossoms and The NBC Orchestra recorded June 30, 1968. 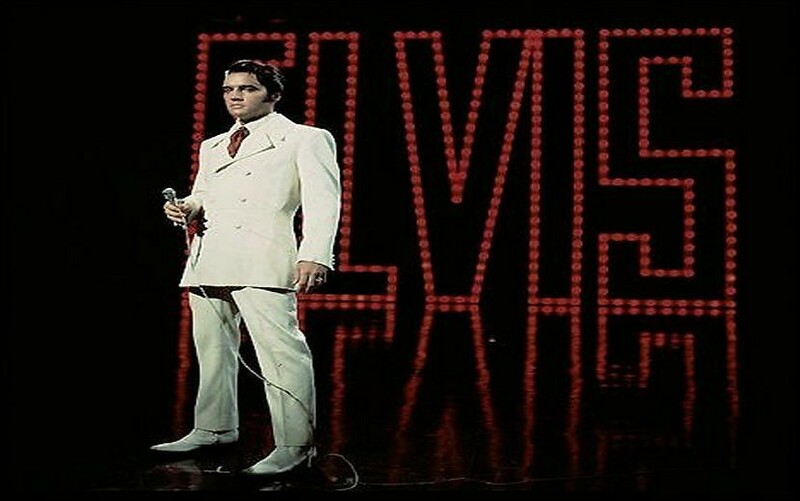 Elvis with a DYNAMITE vocal –seriously…right? But more importantly a song with great social impact; to both the artist and the audience. 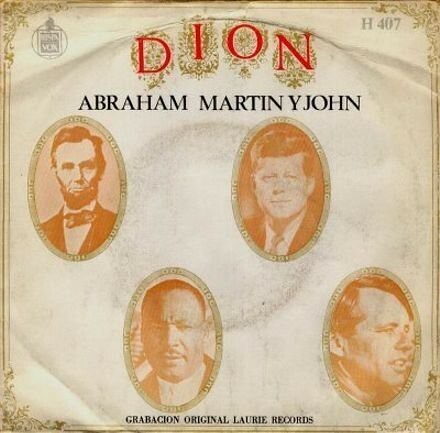 In August 1968 Dion DiMucci released Abraham, Martin amd John……An important piece of work …talking to us from the other side of the record…direct to our hearts…immediate…imagine if Elvis put his song out in July. –he wanted to..
1968 music begins to have a greater social impact stemming from the events directly around us…. April 6 – Martin Luther King, Jr. is shot dead at the Lorraine Motel in Memphis, Tennessee. Riots erupt in major American cities, lasting for several days afterwards. June 5 – U.S. presidential candidate Robert F. Kennedy is shot at the Ambassador Hotel in Los Angeles, California by Sirhan Sirhan. Kennedy dies from his injuries the next day. The line “who killed the Kennedys” originally went “who killed Kennedy”, but was changed when Robert Kennedy was shot and killed. August 28 – Democratic National Convention in Chicago, tens of thousands of Vietnam War protesters battle police in the streets, while the Democratic Party falls apart over an internal disagreement concerning its stance on Vietnam. October 06 – The Beatles appear (on film) on The Smothers Brothers Show performing Hey Jude / Revolution. December 03 – Singer Presents…Elvis aka Elvis ’68 Comeback Special airs on NBC —If I Can Dream gets some limited extra attention but no where near the impact it should have…it does mark Elvis’ return to live performance after seven years…and an interest in a more socially conscience record like In the Ghetto. December 24 – Astronauts Frank Borman, Jim Lovell and William Anders had become the first humans to leave Earth orbit, entering lunar orbit on Christmas Eve. In a historic live broadcast that night, the crew took turns reading from the Book of Genesis. The record John Wesley Harding was released in late 1967. It was a time of one the loudest public outcry for re investigation of JFK. What it was that I've done wrong. "Why must you even try ?" "Oh, stop that cursed jury"
But this is ten times worse"
Lee Oswald was never found guilty.